Travel to a new part of the country is a major perk of working at summer camp, Camps are located not only in some of the most beautiful wilderness and lake setting in the world bit also near cultural and tourist attractions and major cities. In addition to salary, most camps offer some type of travel allowance or assistance for staff traveling great distance. A summer camp job could be your ticket to that destination you’ve been dreaming of. 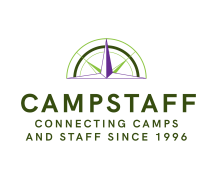 Day camps, particularly those in rural or seasonal vacation areas can provide housing for summer camp staff. Housing is usually reserved for specialty staff – such as nurses or chefs however, depending on the location, bunk staff and instructors can qualify for housing too. The bonus perk is that day camps operate Monday-Friday leaving the staff with what amounts to a weekend house in a summer resort! Working (and being paid) at a summer camp can qualify as part of your cultural exchange experience. Ask your International Student Advisor on campus if you qualify. If so, you’ll receive a full salary with all of the benefits just like domestic American staff. No additional agency fees for you or the summer camp!